...through wiping, we learn. : The levelling-game. After a long journey, that started way back when Cataclysm was out for a few months, three dwarfs and two gnomes have finally reached their intended goal. Last monday, after a three-hour-run, they took the last hurdle, and took the last two levels. Class Act is now level 85. Lurche reaching 85, the others followed fast. Reaching level 85 on Lurche, also puts me on the last 5 levels I can get on Argent Dawn. 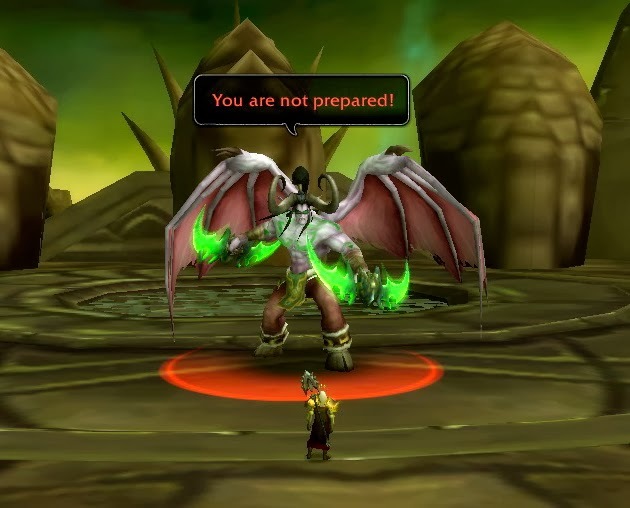 And because Argent Dawn is a full server, there will be no connected realms, so no more character slots for me. Which is a shame, because I wouldn't mind levelling a new character in either Innovation, or Single Abstract Noun. And yes, I still find this somewhat unfair, the fact that some people can have more then 11 characters sending mail and stuff to each others, while others can't. 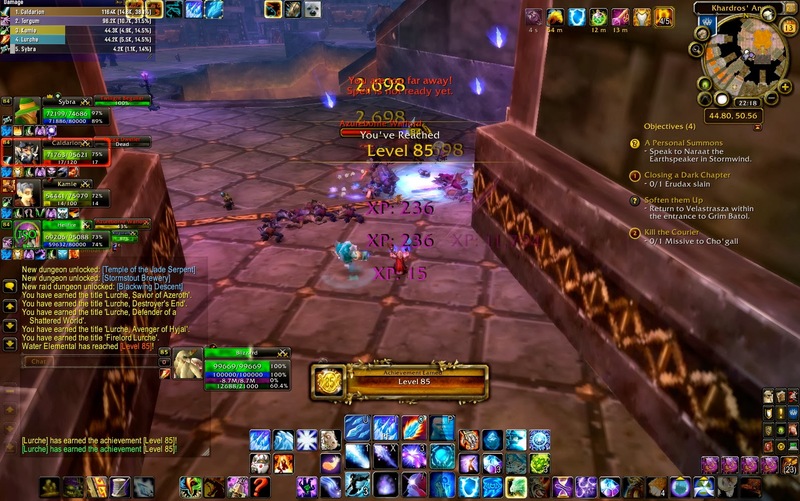 I know, that when WoD releases, I have another 110 levels to level, but speaking from experience, this is what probably will happen; Mardah (if that remains my raiding character), will be levelled to 100 a.s.a.p. 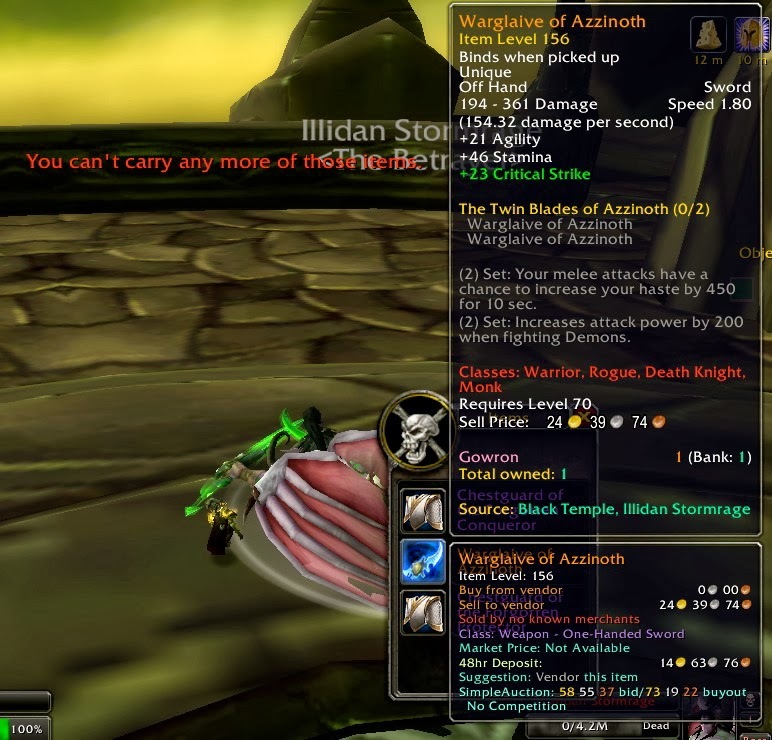 Because they stated that Garrisons will be available at level 90, I will probably get all my Alliance alts there a.s.a.p., but the first month will be focused on Mardah, to get her ready for raiding, so getting reputation and gear and stuff. Somewhere three weeks in, I will start levelling one Alliance Character, and one Horde Character for the Lore. That means I will do every quest with them in all zones, so they will probably be enchanters to get stuff for enchanting (So, yes, Gowron). This will not be that fast, as I am still focused on Mardah. After a month or two I will have probably have three level 100's, or very close, and I start to think about which professions I really miss at 100, and I will then level 1 or 2 other characters. Now, while the first three characters that levelled had mostly no idea what was where considering quest, with number 4 and 5, I will probably know where to go. That kind of levelling goes fast for me. I just sit down for a day, and tick of the quests, racing around, and if it is a little bit like last time, those will be levelled in a month. So after three months, around the release of patch 6.1 I guess, I will have 5 lvl100's, and I probably do not want to level anything anymore for a month :). Oh... and from experience, after transferring a character I almost don't play them anymore, because my friends (them again) are not there. There is the rare exception, when I just don't want be in Innovation, and I play somewhere else, but mostly transferred characters sit quietly on a sever, far far away. And yes, I cannot bring myself to delete those.. or any other char I played for a while. Gowron getting his second OH-Glaive, which he still can't use. So, I hope Blizzard will actually let go of the cap on characters per server. For players playing this game so long, it really starts to feel like a stupid cap now. And now you are also giving people a free 90, and possible the option to buy lvl90's. Yay, I get a free 90, mmm what should I do with that?